Basic design, many possibilities. These are West African “calabash” gourds selected for their smooth, round shape. 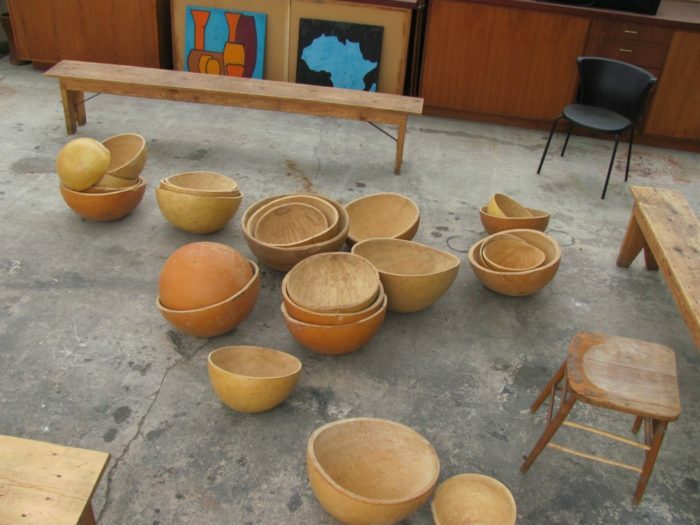 Once cut in half, scraped clean and carefully dried, the calabash may be played in any number of ways. Commonly used as a water drum, inverted and floated on top of a water-filled container and struck with either hands or a soft mallet, has a killer bass tone. Or laid flat edge down on a soft surface and beat with the ball of the fist, makes a bassy thud, or struck with your choice of a striker for various other sounds. 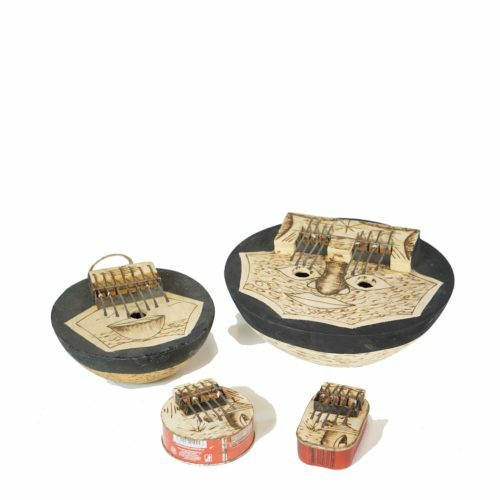 Also has many uses as a component in musical instrument making, and as a utility or art vessel for a home item. Sizes range from 3″ to 20″ diameter. Listed sizes can vary up to + or – 1-inch.